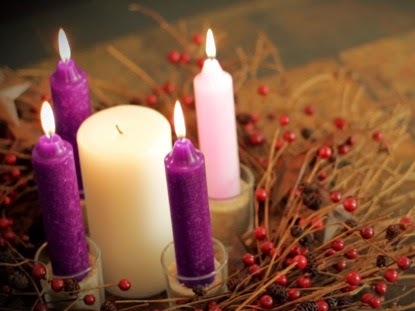 Light the fourth candle on your family Advent wreath. Pope Francis said of Evangelization. . . "It is not the mission of only a few, but it is mine, yours, and our mission." Evangelize by inviting a non-practicing friend to Mass tomorrow. As you and your family prepare to enjoy a peaceful Christmas in a country where freedom to practice religion is a treasured constitutional right, learn about the Christians of the Middle East and the many challenges to peace and free religious practice they face. The ongoing civil war in Syria is a continuing concern. Pray for a peaceful end to the conflict and for an end to the suffering of the Syrian people. Learn about the horrific crime of human trafficking that is on the rise even in the developed world. Pray for trafficking victims and an end to this crime against human dignity. Consider becoming a SHEPHERD — one who works to Stop HumanTrafficking and Exploitation and Protect, Help, Empower and Restore Dignity.Learn more about this initiative. "The light of faith is unique, since it is capable of illuminating every aspect of human existence. A light this powerful cannot come from ourselves but from a more primordial source: in a word, it must come from God." How does the light of faith illuminate your life? Taking the theme of Lumen Fidei into the digital world, read this article onSharing the Light on Faith Online and have a family discussion about a faithful approach to digital communication. Finish decorating your Christmas tree and light it as a symbol of Christ, Light of the World. "Instead of being just a church that welcomes and receives by keeping the doors open, let us try also to be a church that finds new roads, that is able to step outside itself and go to those who do not attend Mass, to those who have quit or are indifferent." How can you and your family answer the pope's call and bring light to others as agents of the New Evangelization? Reflect on the journey of our first migrants, the Holy Family, into Egypt. How does it compare to what today's migrants face? Pray for all migrants and refugees. Midnight Mass with family or watch the Vatican celebration.